First off, I would like to apologize for the recent lack of activity. First I was on Spring Break and unable to write, and the past week or so I have been extremely busy with school. Hopefully you can expect a new episode to arrive within a few days. Now, down to business. I hope you all enjoyed my little April Fools joke. I had a lot of fun putting together. It was amusing imagining what it might be like if I were to turn MissingNo. into an actual Pokémon and dedicate an episode to it. However, I am now going to have to remove MissingNo. from the Pokédex section to remove any future confusion, that includes its in-depth page. For archiving purposes, I’ll copy and paste it onto the bottom of the Pokédex Entry post made about it. Now, with that all being said, I feel like I might have given the wrong impression about my opinion of MissingNo., and other glitches in the game by extension. While I do find MissingNo. to be a fascinating glitch, it is nothing more than that. It is simply a glitch. I am always baffled when I see people on the internet treat it as if it were an actual Pokémon. What also bugs me is the culture that has seen to grown up around this and other glitches in the original games (namely, the Mew Glitch). In my opinion, it is not a wise move to purposely glitch your game, after all, doing so means you are actively attempting to break the game’s programming, and I really can’t see doing this in a positive light. It’s even worse when said glitches are used to exploit the game, rather than just have fun. Using MissingNo. to multiply your Rare Candies, or using a glitch to catch a Mew is in the end cheating. What annoys me even more about the “glitch culture” as I call rather it than just the fascination with glitches, is the people who actually begin to think of such glitches as acceptable means of catching Pokémon and progressing through the game. I don’t care if there’s no other way to catch a Mew, the Mew Glitch is not a valid method, it’s still cheating in the end. Of course, that’s the way I see it at least. NEWSFLASH: After today’s Pokémon Direct, Sun and Moon have been confirmed. There was no solid indication from what was shown whether it was a Generation 6 or Generation 7 game, but some of the wording being used to describe it on the main website does seem to infer it’s a new generation. If that is the case, my below theory may be disregarded. That being said, I am not yet 100% convinced that this is a new generation. 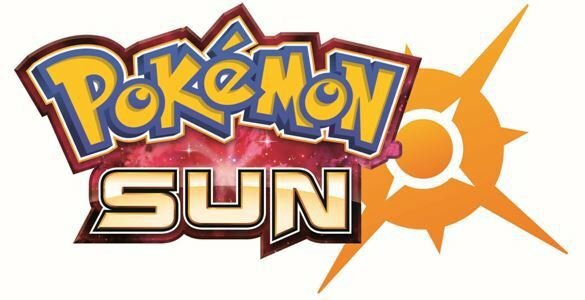 As I am sure most of you already know, earlier today trademarks for games called Pokémon Sun and Pokémon Moon, complete with logos, where uncovered. Normally I avoid talking about news on this website, but for obvious reasons, I thought it would be worth bringing up here. I want to share my vision for these games. Before we begin though, I would like to point out the very real possibility that these trademarks will not lead anywhere. Pokémon has trademarked many game titles before, such as Gray or Water Blue, without an actual game coming out with the name. But, never to my knowledge have one of those fake trademarks come complete with logos the day before a major Pokémon announcement. Many people are assuming that Sun and Moon will be the first games of the Seventh Generation of Pokémon, and for a good reason too. However, this does not seem likely. One important thing to remember is that whatever games they release this year will be on the 3DS. But coming soon is the Nintendo NX. It would be a poor business choice on Game Freak’s part to release a new generation right before the release of a new system. Also, the Gen 6 story line is incomplete. Zygarde has yet to be fully explored, and X and Y left many questions. That is why I believe that Sun and Moon will introduce the brand new concept of Generation 6.5. For those who don’t know the Gen 6.5 theory, it’s an idea that the next game will bring about what could be considered a new generation (eg. new Pokémon and a new region), but still remain firmly linked to Gen 6. This theory has gathered evidence from all over, with the biggest points being the small number of Pokémon introduced in X and Y, seemingly missing Pokémon from X and Y such as a non-cover Legendary Trio, and the mysterious item known as the Strange Souvenir, which refers to the player travelling to an unknown region sometime soon. The recently revealed Magearna also seems to support the theory. With that explained, my theory for how these games might work is to start the player off in the new region referred to by the Strange Souvenir. This region will have new Pokémon, such as Magearna, and a new story. It is very possible, though, that this story will tie into the story of X and Y, delving deeper into the Kalos War and involving Team Flare. While it is possible that Zygarde would be the center point of the story, this seems unlikely, as there are two games, each of which needs its own cover Pokémon. As there is only one Zygarde Complete, this would not work well, unless Zygarde gets a second complete form. So I believe that two new Legendaries will be the focus (ones based on the Sun and Moon). Then, after this story is seen to completion and you enter this region’s Hall of Fame, you get to travel to the Kalos Region. Once in the Kalos Region a new story involving Zygarde as its center focus will unravel (this would be like a combination of Gold and Silver’s Kanto Region with Omega Ruby and Alpha Sapphire’s Delta Episode). This would allow for Zygarde to get the spotlight that it would miss otherwise with the absence of a Z Version. A full on second story occurring post-game also makes sense given the current progression of Gen 6 games. X and Y had the Looker story, the first attempt by Pokémon to have a story after beating the game. Then Omega Ruby and Alpha Sapphire had the Delta Episode, which was a full-on narrative with an impact on the story of the entire game. The type of story in Kalos I suggest only seems like the natural progression of things. This complete overhaul to the game would explain why there is no Z/X2 and Y2 Version, as it would justify the changing of the name entirely. There are those out there who say that what I’m suggesting is silly because a new Pokémon game with new Pokémon and a new region automatically makes it a new generation, so this would be Gen 7, not 6.5. I disagree. I say that there’s more to a generation than just the Pokémon. The three biggest factors being game style, story, and connectivity. Each generation introduces an improved style from the previous one. If Sun and Moon have the same style as X and Y, that pretty much confirms they’re in the same generation. On top of that, if these games have a story connection to X and Y, then all they’re doing is continuing this generation’s storyline. And if they can trade/battle with X and Y (with the exception of newly introduced Pokémon), how could they be a different generation? Admittedly, Gold and Silver could trade with Red and Blue, and did connect with them story wise, but I argue that was only because Gold and Silver was the first time they made a new generation. they were uncertain of what they wanted to do. Something like that in the modern age would never happen. Also, the concept of a Gen 6.5 would be a good way to expand upon and top the concepts of sequel versions introduced in in Gen 5 with Black and White 2.